How to obtain a medical marijuana card in San Diego Instantly? 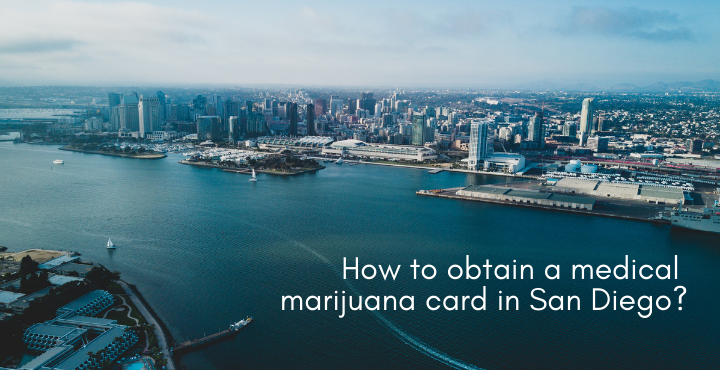 How To Obtain A Medical Marijuana Card In San Diego? Medical marijuana has completely transformed the life of the patients suffering from debilitating medical conditions. But, many are still going by asking their friends and family regarding the procedure for obtaining a medical marijuana card in San Diego. Is there any requirement of medical marijuana card? Are there any benefits of having an mmj card? What is the procedure of obtaining medical marijuana card in San Diego? But, first let’s understand a bit about the laws concerning cannabis. Adult Use of Marijuana Act or AUMA states that a person above the age of 21 years is allowed to access cannabis legally. However, as per this rule, you can possess only about one-ounce marijuana or 8 grams of concentrated cannabis. This is also known as the California Compassionate Use Act. As per this law, people suffering from debilitating conditions are allowed to can possess or cultivate marijuana for their personal medical use. Medicinal and Adult Use Cannabis Regulation and Safety Act governs both medical and recreational cannabis use. Medical marijuana is still considered an illicit drug under this law. However, one can go for Hemp based CBD oil products as they are valid in all the 50 states. Now, let’s move forward to more technical questions concerning medical marijuana cannabis card. Is There Any Benefit of Obtaining Medical Marijuana Card? Medical marijuana is allowed for recreational use as well. But, with a medical marijuana card in San Diego, you will get a lot of benefits in many ways. With an mmj card, one can consume cannabis starting 18 years. According to Section 34011 in Prop 64, medical marijuana users do not need to pay Sales and Use Tax. With a valid medical marijuana card in San Diego, one can possess 8 times more the amount allowed for recreational use. With an mmj card, one can grow as many plants in a 100 square feet area. However, it should not be grown publically. With an mmj card, you will be able to access thousands of dispensaries across California. So, with 420 evaluations, you will be able to access many strains and cannabis products. How to Apply for a Medical Cannabis Card? The following medical conditions are allowed to have medical cannabis card. You can apply for a medical marijuana card online or going to a physical clinics. After that, get evaluated by the licensed cannabis doctor. To wrap it up, having a medical marijuana card San Diego will help you save time and money along with certified legal protection.